POS software or point-of-sale software, is widely by many retail businesses, including restaurants. It is a computerized system that allows the business to track a multitude of information, including sales, purchases, inventory, and employee related information. With the high volume of sales typical with a restaurant, a POS software system is a must. How does a POS software help your restaurant business in Singapore? Restaurants and other food retail shops are able to not only track all sales, but their POS software can also process their credit card payments. In addition, it can act as a communicator between the wait staff (or front of the store) and the kitchen (or the back of the store). Restaurant POS software is the solution to better business and operation management, as it allows you to streamline all daily operational functions. Whether your restaurant is a upmarket food establishment located in Orchard Road or a small family run café, this application allows you to run your restaurant or store efficiently and service your customers better. Sales – since restaurants handle such a large volume of transactions daily, this software will make tracking your sales much easier. Not only is it easier to track sales, but you are able to see which food on the menu is selling and which is not, allowing you to make adjustments to the ingredients level to keep. Inventory – it allows you to track and better manage your inventory. This is especially important in the food and beverage industry which the inventory usually consists of perishables. You will be able to see which are the more popular dishes and also identify those which are less in demand. This will allow you to make adjustments to product orders and decide what to market more intensively. 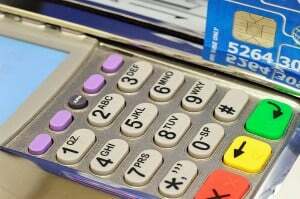 Processing – since you are able to handle all guests’ sales, including credit card sales, through your POS terminal, you do not need additional equipment to handle credit card sales. This is much more secure for you and your customers. Security – POS software is secure. Other systems could possibly allow your employees to make mistakes and possibly steal money, however, with the security of the POS software that is not possible. This makes each employee responsible and accountable to all of their individual sales. Employee Tracking – your POS software can also provide some HR functions, such as a time clock, reporting for payroll, and scheduling. This is not only a time saver for your bookkeeping or payroll department, but keeps your employees accountable. Traditional cash registers are a thing of the past. Most all retail businesses and certainly, all restaurants use POS software, either MYOB Point of Sale software or customised POS software for all the reasons listed above. No matter the size of your business, you will experience benefits with a point of sale software system. i) One popular software option in Singapore that allows POS integration is QuickBooks Online, with affordable monthly fee. It is easy to use and the mobile app version allows you to manage your business even when you are not in the restaurant, saving you time. ii) MYOB Premier Plus offers advanced accounting and billing features that can be integrated with your restaurant’s POS features or barcode scanner. The software caters to Multi Currency-Transactions, Multi-Users, Time-Based & Tracking and Payroll. Our customised POS offers similar features catered to your specified business needs and requirements, with aim of improving your current process.